If you have noticed that you or your loved ones seem to be sick more often than they should be, you might want to consider that you have a “sick” house. It is possible that your indoor air is full of pollutants and allergens that are affecting your health. Every day, you and your loved ones contribute to the indoor air of your home. If you have pets, they contribute as well. What you may need to help alleviate some of your problems is a professional carpet cleaning. All sorts of particles are circulating in your home’s indoor air. Many of these particles are allergens, or substances that will promote an allergic response in humans. Constant exposure to these pollutants can lead to health problems, particularly for those with any respiratory issues. There are millions of dust mites in your home. Many of them, and their dead carcasses, will find a way into your carpet fibers. Toxic airborne gases can attach themselves to these, or any other, particles as well. A carpet cleaning company can help you get rid of these nasty home pollutants. Of the many problems that a home may have, mold growth has got to be right up there with the most serious. Mold will thrive in a damp area. If you live in a climate that is humid, the moisture in the air will find its way into your floors. This moisture can lead to mold growth, which can destroy your carpeting and lead to many health problems. If you have this issue, Carpet Cleaning Whittier would advise you to get it taken care of immediately. Carpet cleaning will help to eliminate the odors associated with these pollutants finding a home in your floors. A moldy smell is easily identifiable as is that of any pet urine. If you have smokers in the home, the smoke residue will make its way into your floor coverings. Breathing those noxious gases over a period of time cannot be good for one’s health. 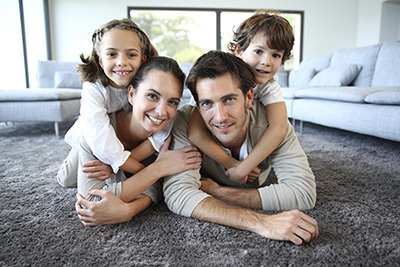 A carpet cleaning service can help to not only eliminate odors, but also to improve the home’s overall health.